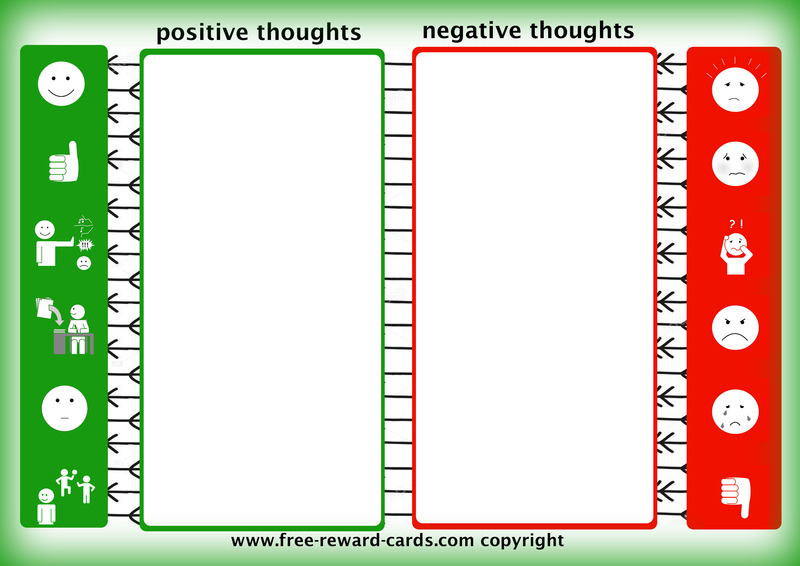 A card to make children aware of helpful (positive) and non-helpful thoughts (negative) they have. Children can write or draw the situation in the boxes and add the thoughts they had at that moment. By giving children an insight into their thoughts and by teaching them that they can influence their thoughts and feeling, you can stimulate children to convert (negative) acquired behavior and negative patterns into positive ones. Together with the child you can see how non-helping, negative thoughts can be turned into helping, neutral and positive thoughts. By giving children an insight into their thoughts and by teaching them that they can influence their thoughts and feeling, you can stimulate children to convert (negative) acquired behavior and negative patterns into positive ones.